Be relaxed or revitalised. For a moment to yourself. A soothing of the senses. Whatever you need, we’ll be waiting. Welcome to a world of true relaxation with our range of bespoke treatments created specifically for men’s skin. More than just a lovely indulgence and an unexpected snooze, professional facials can improve both your physical and emotional wellbeing. Using the Aromatherapy Associates Refinery product range for men, this deep cleansing and brightening facial includes a tone, extraction (when necessary) and mask application, before a pressure point facial massage with lymphatic drainage around the eye area to help reduce puffiness. The 40-minute facial is a condensed version, which includes a deep cleanse, facial massage and the application of mattifying or revitalising moisturiser. 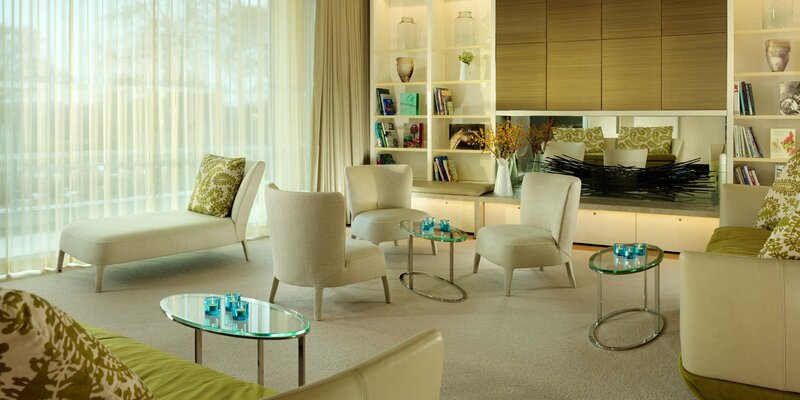 The best recipe for a good night’s sleep is a calm mind, fresh air, and a massage at The Spa at Coworth Park. We use them to express ourselves, to greet others, to make a connection, to mend and make. Our hands work hard for us. They deserve some love in return. The arms and hands are exfoliated and massage and cuticles are nourished with OPI ProSpa products. Nails are shaped and buffed for a perfectly groomed appearance. The feet are exfoliated and softened with the OPI ProSpa products. A relaxing and nourishing foot massage is followed by cuticle tidying, nail shaping and buffing for a perfectly groomed appearance. The epitome of relaxation. The chance to lie back, drift off and let us ease away the day. Time just for you. A back cleanse and exfoliation refreshes the skin, while a stress-relieving back massage and Ayurvedic scalp massage pinpoint areas of tension, bringing relief to tired, aching muscles. A deep cleansing facial incorporates a blend of the finest essential oils and natural botanicals unique to The Refinery range, leaving skin bright, supple and refreshed.